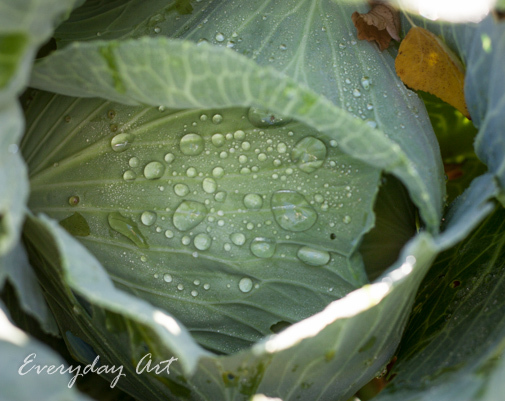 My mom's garden this year included some cabbages, and we both enjoyed watching them grow. 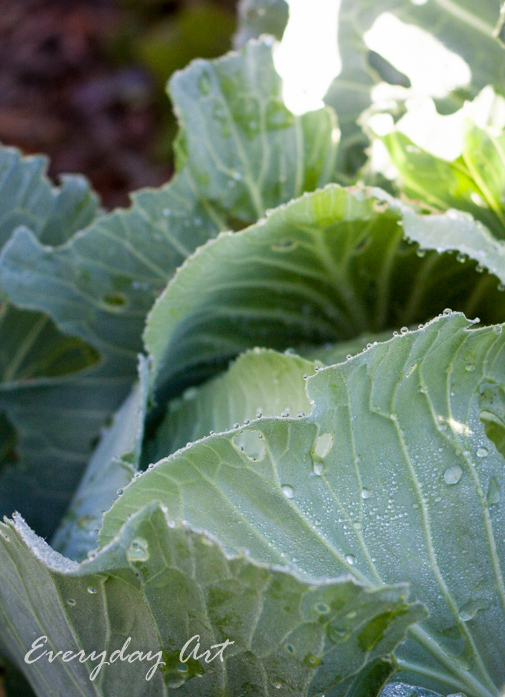 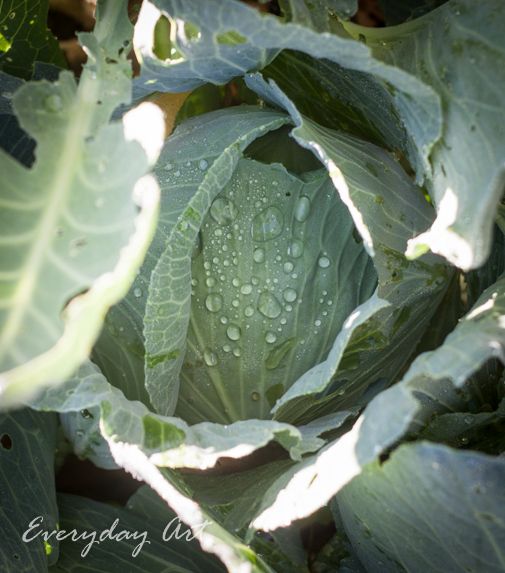 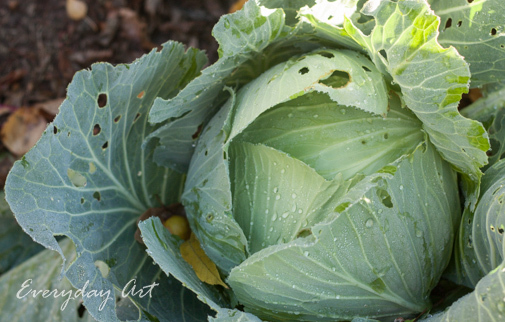 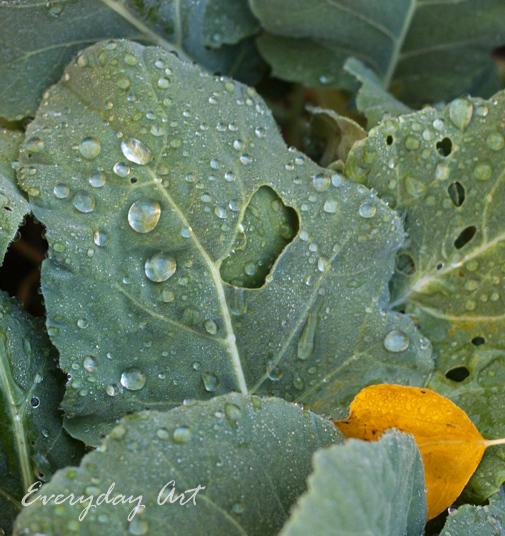 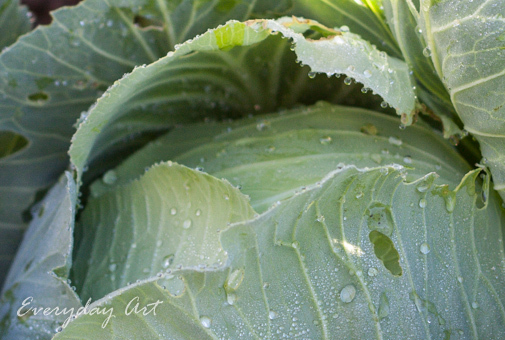 We harvested them the other day after a light rain, and I was a sucker for the little drops of water caught on the cabbages. 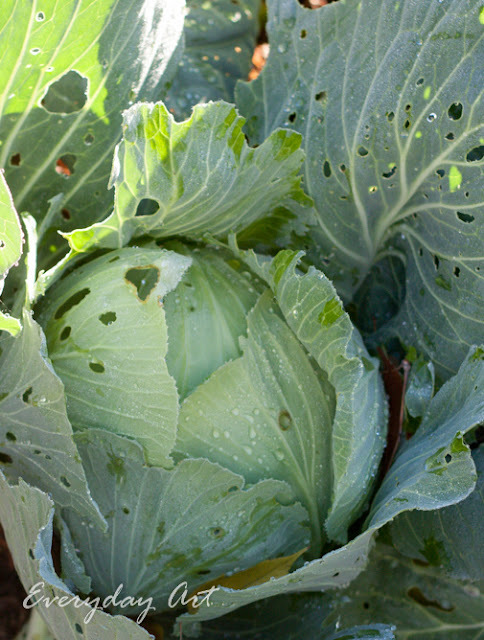 Alas, that is the last of my mom's wonderful garden this year.